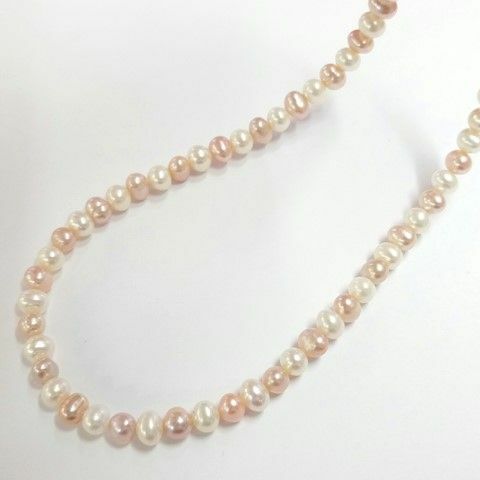 A delicately elegant necklace of small (5mm) lustrous freshwater pearls in subtle complementary colours. 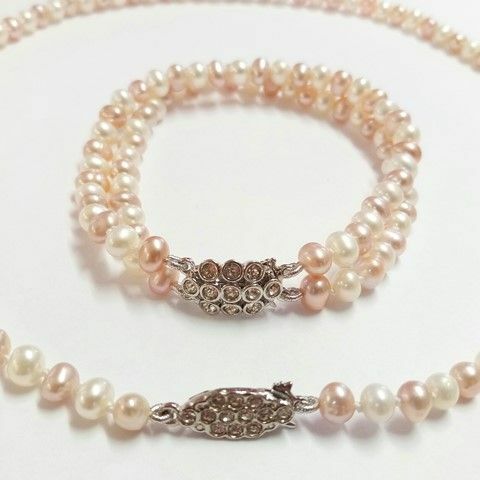 This comes in standard lengths with a super quality traditional silver (Rhodium-plated) clasp set with sparkling Swarovski crystals. 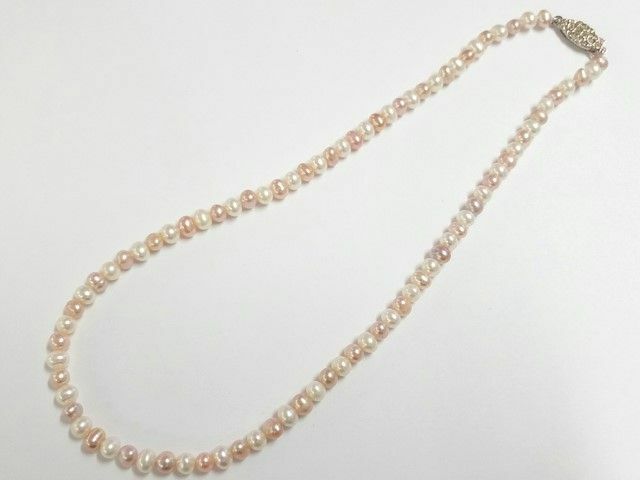 The delightful peach pink or bright white pearls can be made up in any combination you like. 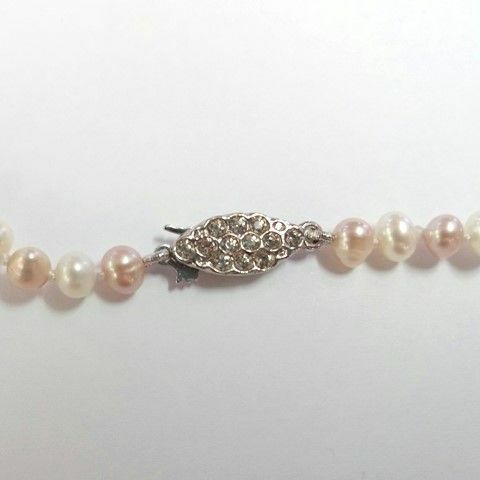 Your necklace comes in a handsome gift box or a pretty and practical embroidered silky pouch at no extra charge.